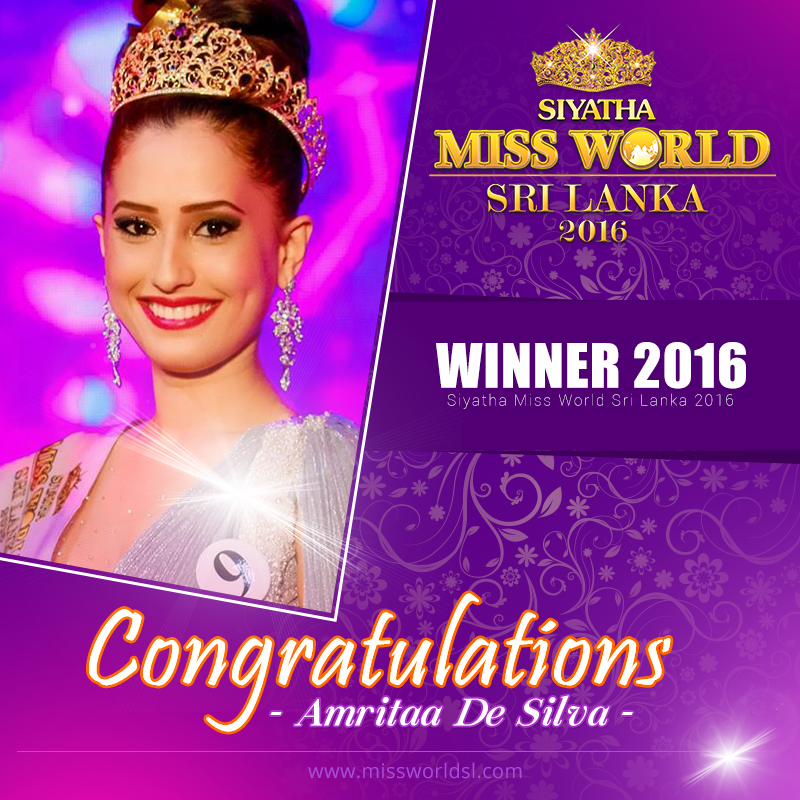 Amritaa de Silva was recently crowned Miss World Sri Lanka 2016. She will now start preparing to represent her country at Miss World 2016. Her court included first runner-up Vithma Kumarage, second runner-up Kaushi Pathirane, 3rd runner-up Mandeera Severimutto and 4th runner-up Dusheni Miurangi. Miss Silva is better than the recent winner of Miss Universe Sri Lanka!!! Good luck to her!! !